What do we know? At the absolute level, Laozi pointed out that no “one” actually know any “thing” (see earlier blog discussion on Daodejing Chapter 71). At the more ordinary and worldly level, Confucius said knowledge is: when you know something, you can declare you know it (to your best information and ability); when you don’t know of something, you admit it. Honesty, is an important quality to cultivate to succeed (spiritually speaking) in life: in external interactions, honesty brings credibility; in internal reflection, it brings self understanding. Lack of honesty brings confusion; be honest, and you will proceed in truth. Here we see the imperfection of even a superior man, as those who strives towards a Superior Man still commit errors. What make a superior man stands out is that s/he can learn from mistakes, corrects upon it, and will not commit it in the future. This is similar to the description of individual karma in the Buddhist tradition, where through repeated choice, individual slowly let go of habits which is now seen to be wrong and undesired. Eventually the tendency and intensity to repeat past habits will decrease and errors will not be repeated. People thinks a saint or an enlightened master has no dislike. Yet Jesus was angry when seeing merchants yelling in the sacred temple. And similarly, Confucius did not like people who pretend to be saintly on the outer appearance but have hidden agenda inside. This illustrates our nature of being a human: While we share the same origin of united reality, as separated beings we are subjected to our animal natures and emotions. Buddhists say the same. The meaning of a Bodhisattva (enlightened being who remains in the world for service after liberation) is: aware and be loving-kindness, not departing from the world and perceiving nothing. Therefore, on the pathway of spiritual cultivation, if we are proceeding properly, we should be getting a clearer and clearer understanding about ourselves, including our body, emotions, thoughts, and consciousness, and not ignorance and oblivious of them. Understanding one self, therefore, is an important and inevitable step in spiritual cultivation. He did not eat rice which had been injured by heat or damp and turned sour, nor fish or flesh which was gone. He did not eat what was discoloured, or what was of a bad flavour, nor anything which was ill-cooked, or was not in season. He did not over eat. When eating, he did not converse. When in bed, he did not speak. Besides moral standards, Confucius also recommended healthy diet and sleep. Eat fresh and well-prepared food, in adequate quantity, be mindful in eating and sleeping so we can digest and rest well. Daoist also pay attention to diet and lifestyle as part of holistic approach to health and longevity. In meditation and internal alchemy practice, a healthy physical and energetic body is a pre-requisite for advanced practice. While in the absolute level the physical becomes less relevant, for beginners and regular practitioners, maintaining a healthy body through healthy food and lifestyle is recommended. -> even though we hold high standards and strict to ourselve, cultivate acceptance and forgiveness towards other. Try to understand and forgive others when they cannot meet our standards. For those who are not living alone in the mountain, we need to cultivate people skills to survive and succeed in the human world. How to look at and interact with others while continuing our path as a student of the Dao? 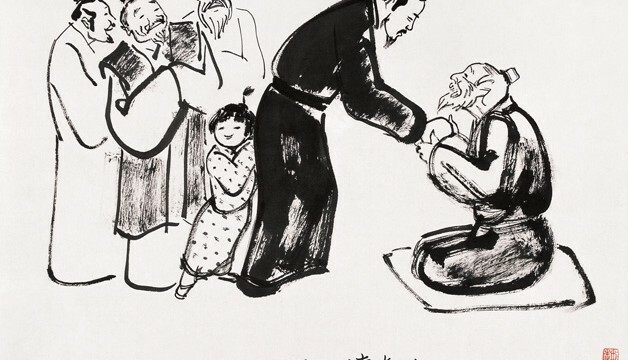 Confucius recommends us to be considerate, understanding, accepting, and forgiving. These are some of the content of benevolence. 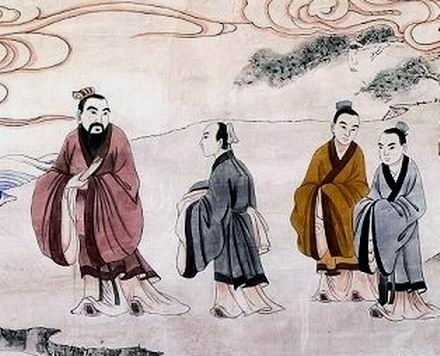 In the context of personal cultivation towards social harmony, Confucius suggested proper conducts towards others. What is proper? Confucius described it vertically and radially: Vertically, we take care of people older and younger than we are, and radially we take care of ourselves and expand it to others. Through being kind and loving (to ourselves and others), we strengthen the positive which uplift ourselves and the collective world. Such is the fundamental reason for suggesting these social guidelines. These practices of no food/no sleep are not to be followed blindly until advanced stage of cultivation. Confucius tried it but found it not so helpful in thinking, so he recommended regular studies and practices instead. In Daoist meditation, there is a spectrum of meditation practices, focusing on self, mind, and energy, and many other types of meditation methods from the Buddhist traditions. Regarding food and rest, many masters reported that there is less reliance on food and rest in more advanced stage of meditation. As a general advice, in adopting spiritual practices and lifestyle, listen to the natural rhythm of your body/mind/self and flows with it. If you are following the flow, there should be improvement in body, mind, and awareness. Consult authentic teachers and/or medical professionals when necessary. The Master said, ‘When a man’s knowledge is sufficient to attain, and his virtue is not sufficient to enable him to hold, whatever he may have gained, he will lose again. ‘When his knowledge is sufficient to attain, and he has virtue enough to hold fast, if he cannot govern with dignity, the people will not respect him. At the first stage, one knows what is and not virtue. At second stage, one not only knows about it, but can abide in it in one’s individual life. At third stage, one expands the practice of virtue from isolated individual to interacting with others through various worldly roles. At final stage, one succeeds in aligning with virtue without contradicting with propriety and prevailing social standards, e.g. final stage of life of Confucius. Therefore, first stage practitioners are scholars, second stage practitioners are hermits and experts of the internal world, third stage practitioners are socialists and Bodhisattvas (masters of the internal world seeking to help the world); forth stage practitioners are full enlightened masters of internal and external worlds. -> practice moment by moment, even in chaos and dangers. -> practice of virtue is more important than one’s own life. The philosopher Zeng said, ‘The officer may not be without breadth of mind and vigorous endurance. His burden is heavy and his course is long. ‘Perfect virtue is the burden which he considers it is his to sustain;– is it not heavy? Only with death does his course stop;– is it not long? Personal and spiritual practice, requires dedication in different times and spaces (including the transcendence of either or both of them). It is to be chosen in front of others and while alone, in good times and bad, and be seen as more important than even one’s own life (including its aversion). How difficult it is! Can you be humble and wise and kind and strong across all situations in life? In front of others and while alone, in good times and bad, and even in life threatening situations? Successful practitioner are therefore real masters, respect to Jesus, Buddha, Confucius, and Laozi! The Master said, ‘Hear much and put aside the points of which you stand in doubt, while you speak cautiously at the same time of the others:– then you will afford few occasions for blame. See much and put aside the things which seem perilous, while you are cautious at the same time in carrying the others into practice:– then you will have few　occasions for repentance. In this information world, we hear and see alot everyday. Market studies found that, in a single trip, on average we receive 1000+ messages through various forms of media, such as from newspapers, mails, television, radio, musics, movies, and various forms of commercial advertisements. Apart from the above, we also interact with family members, schoolmates, colleagues, business partners, friends, and other people in our life: conscious and unconscious, feelings thinkings and actions. How do we process all these information? How should we, with our limited minds, differentiate, filter, and contextualize them? Laozi recommends bypassing the self-centered mind all together, and listen, so we can be at one with the universal wisdom and flow with it for understanding and contextualization. Confucius, speaking from a personal perspective, recommends caution. When we are not sure of something, whether from hearing or seeing, we accept those that we are sure, and put aside those we are not sure until it becomes clear. 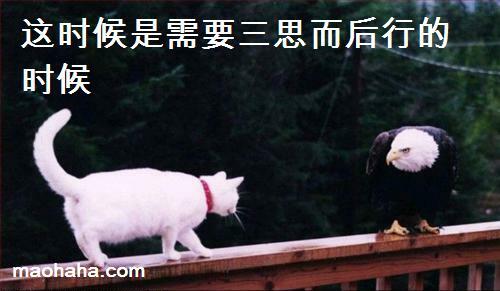 Therefore, Confucius recommend to think twice before speaking and acting. When we are cautious, then we are less prone to blame and repent (for acting on questionable message/information).